← Macduff, Single Old Particular, Single Malt Scotch Whisky, 21 years old, Highland, Scotland, 41.9% abv. Also known as the Mac’Allen’ if you’re drinking it with said friend who was kind enough to share, this Scotch was aged in American oak and first fill European oak sherry casks. It has a pale amber hue and on the nose it shows medium plus intense high notes of honey, pink cotton candy, vanilla, medicinal herbs, wood and whiff of smoke. The palate is dry and has warming alcohol with medium intense flavours of vanilla, clove, ginger, more liniment and butterscotch. With a dash of water, some stone fruit emerges to linger with the finish. This single malt whisky WSET Very Good. Enjoy as we did. 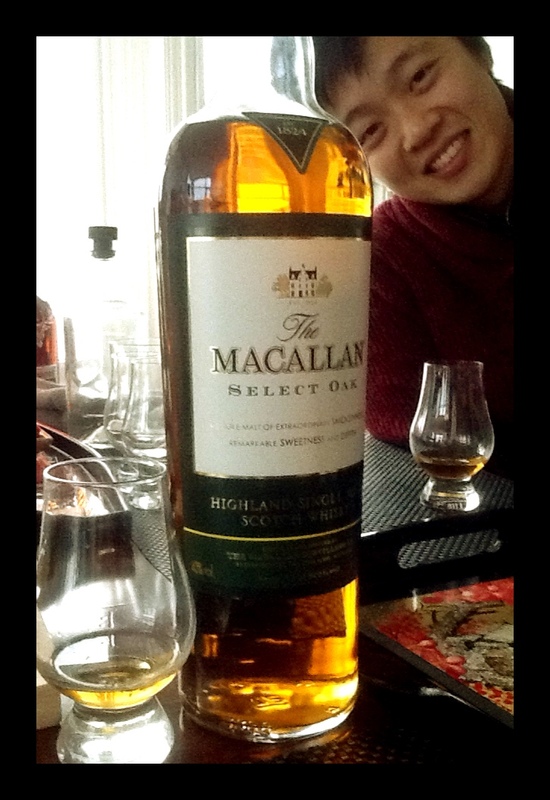 This entry was posted in SPIRITS, Whiskey/Whisky and tagged highland, Macallan, scotch, single malt, speyside, whisky. Bookmark the permalink.